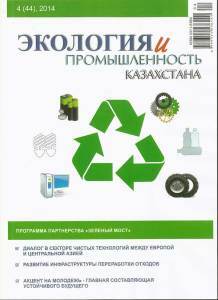 In the last issue of the 2014th year, the leading Kazakhstan environmental publication “Ecology and Industry of Kazakhstan,” an engineering and technical article was published by the Department of Engineering Surveys specialists (Geophysical Research) Gontar M., Djumataev T., Pereverzev Yu., Mirkhashimov I.Kh. , “Practical modern methods usage of nondestructive testing for diagnostics and technical condition monitoring of highways”. Practical modern method usage of nondestructive testing in the diagnostics field and technical conditions monitoring of highways. Next:GREEN BRIDGE FORUM 2015 took place in Jurmala on the 17th April.